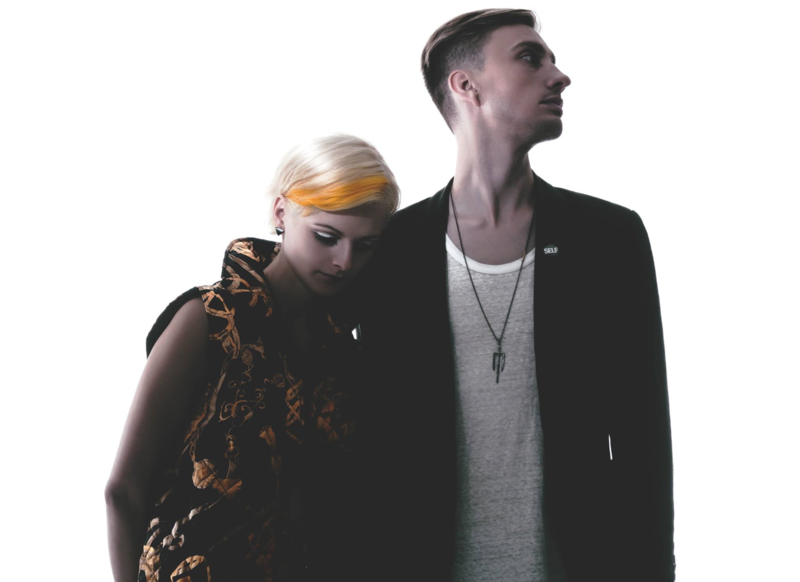 Andrew Braun, of the indie electro-pop duo, Rococode, is currently on tour across North America right now, in support of their latest full-length album, Don’t Worry It Will Be Dark Soon. 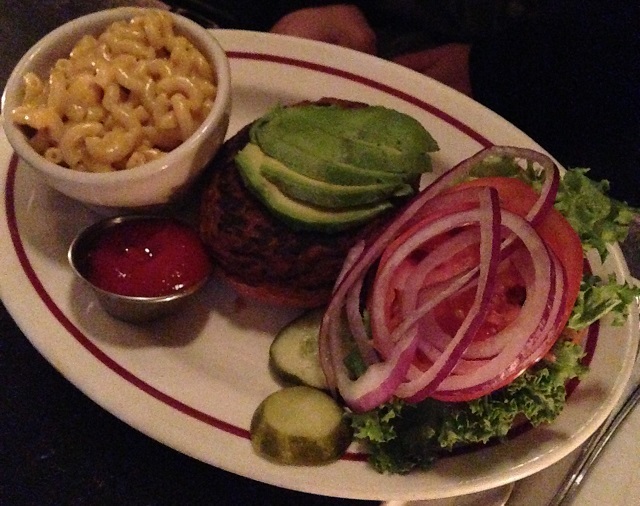 While he’s out on this tour, Andrew will be tasting and rating veggie burgers along the way. You can check out his second installment, after the break. Somehow, in this wild world of being on the road, I feel like I’ve slipped into a veggie burger-less void… eating salads and tacos and eating meals cooked in homes. But sitting in this La Quinta in Western Pennsylvania, I’m realizing I have plenty of material to work over the past two weeks. I also hope the time away has helped me find my voice as a food writer. This marks our first venture into the depths of the American veggie burger — where you REALLY never know what you’re going to get. I was on a CD run when the ordering was happening, so my experience was left to the whims of my company. Clearly a frozen patty, not made in house. You can tell by the WAY too clean edges and the overabundance of carrots. Adding avocado was a clutch move here when there is very little going on organically. Tater TOTTTTTTTTTTTTTS. I ate a basket and a half of ‘em. Plus a really great pickle. 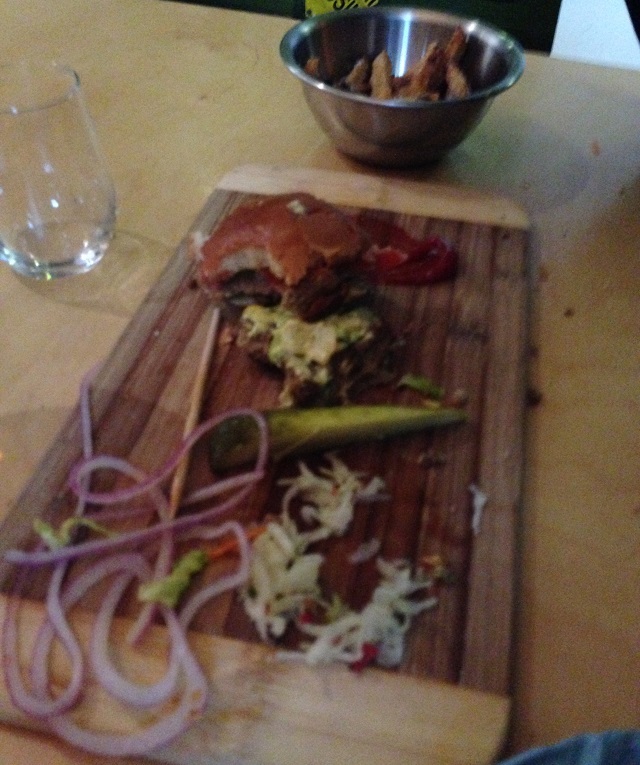 One of my bandmates happened to mention that I was reviewing veggie burgers and it cast an uncomfortable air over the entire meal. I may not have the stomach for food critique. Great components on this offering. My only complaint is that it got pretty tough to eat by the end and I had to resort to knife and fork. 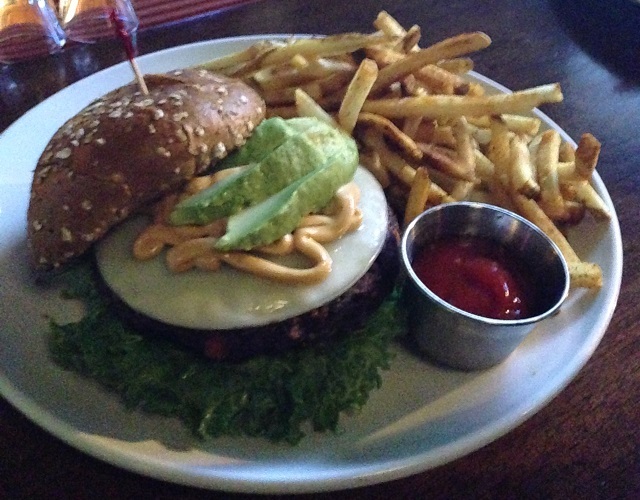 Avocado included without prompting and PROVOLONE… a very underused cheese in my opinion. Great choices. Deducting a point for heavy-handed mayo. Can’t say anything bad about freshly cut fries and ketchup. Two slices would have received full marks. 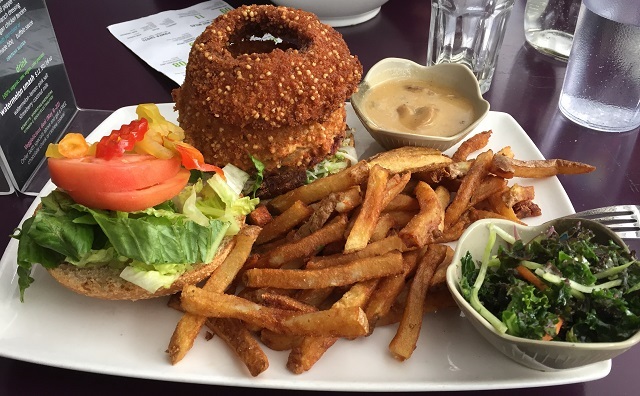 Back on Canadian soil, we tackled an all burger menu, which can be risky if you’re going the veggie route. 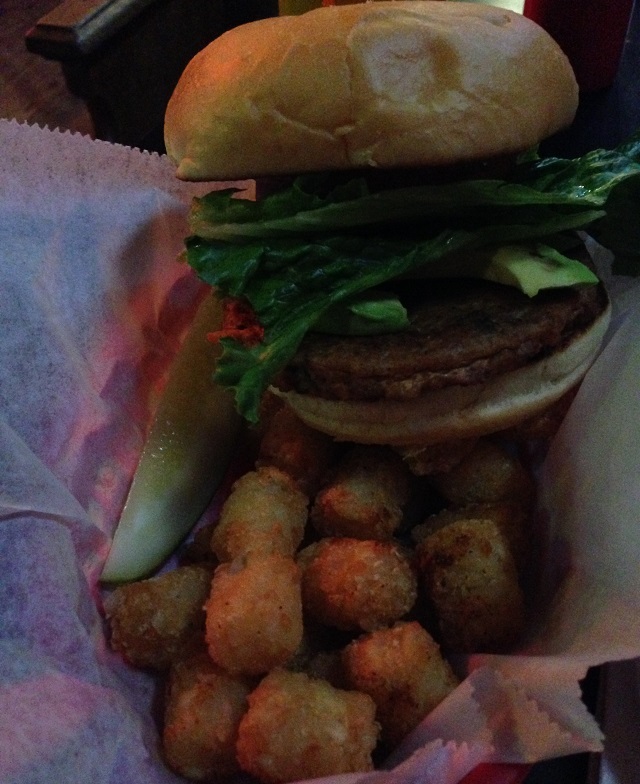 Great house made patty… again with the curry. Seems to be a popular choice these days… more on that later. Things got a little ugly on the handheld front toward the end. Had to knife and fork to avoid wearing the final bites. Didn’t really need a whole lot of dressing up, but there were definitely too many onions. I don’t like having to sing into my mic the night after too many onions. My “notes” say “my body is happy to eat a salad.” But my mouth was also happy to eat fries. Half and half is always a happy option. It’s really not what I want to do. Since this was consumed by our band member Robbie “Get to the Chopper” Driscoll, I’m going to review this burger like it’s on a modern dating app — by looks alone. This thing looks real delicious. Definitely made in house and with solid healthy ingredients. I’m eating all fresh veggies across the table and I’m a little jealous. Looks tasty for sure, but maybe a little too much effort put into the presentation and not much into the practicality. It’s stacked so high with onion rings it looks like I’d have to unhinge my jaw to take the first bite. 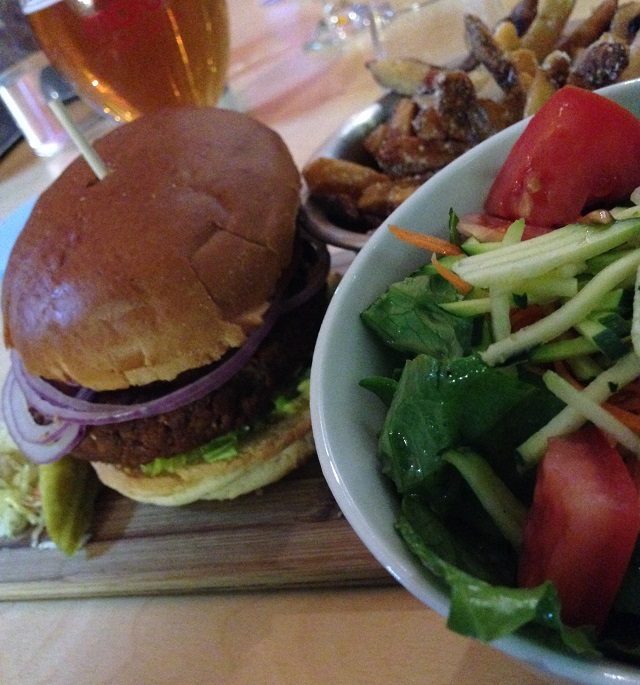 Salad looks great – not in a bar for once, so it’s probably not week old lettuce – and the fries look like fries. I ate a mountain of tofu and vegetables and peanut sauce. I know I’m letting a lot of you down by not eating the burger, but I had to do it. Let us know what you think of this feature in the comments below or by tweeting us! Also, help us continue releasing great content, like this, by supporting us on Patreon!